A relaxing oasis within paradise! A relaxing oasis within paradise. Flacalco Hotel & Apartments is a complex made up of three hotels in Cala Ratjada that come together to create the perfect formula so that you can experience a unique holiday just a few metres from the beach in Cala Agulla. We boast more than 50 years’ experience in the hotel industry and at Flacalco Hotel & Apartments, we provide accommodation with the utmost charm. 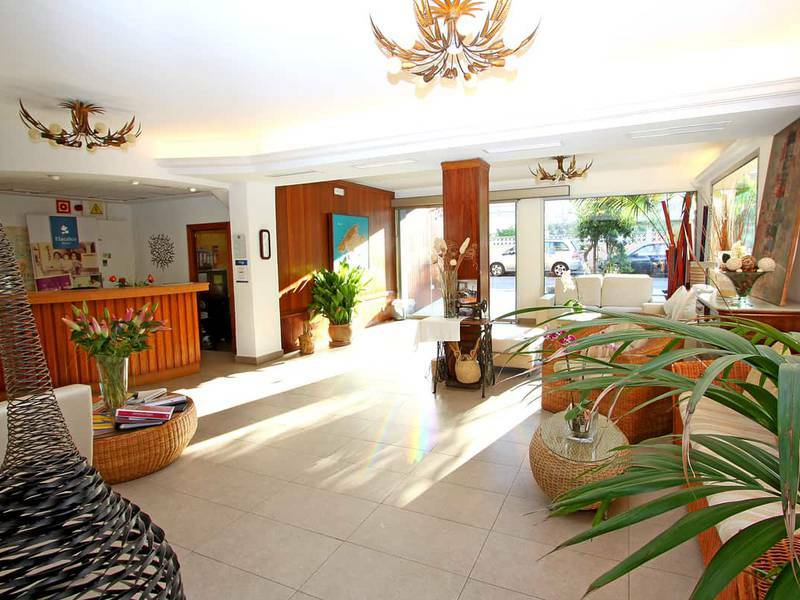 You can find spacious rooms and apartments, a delightful restaurant buffet, two outdoor swimming pools with a solarium terrace, paddle tennis courts, extensive gardens, a spacious multifunctional hall and a friendly and welcoming atmosphere so that you feel right at home from the first moment. Book your holiday by the beach at the official website of Flacalco Hotel & Apartments and enjoy a memorable getaway with your family, friends or partner. Perfect for a break in a truly peaceful setting. The rooms and apartments at Flacalco Hotel & Apartments are comfortable spaces, perfect for a relaxing getaway next to the beach. Choose the accommodation that you prefer at the best price online guaranteed. 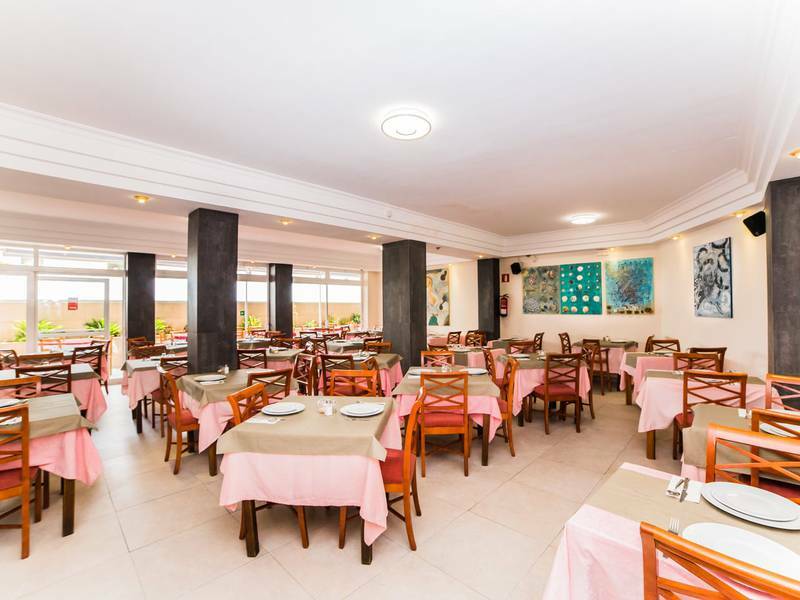 The Individual Rooms at Flacalco Hotel & Apartments provide a welcoming 10m2 space featuring all of the home comforts that you require throughout your holiday in Cala Ratjada. They boast a single bed, television, safety deposit box, balcony and a private bathroom with toiletries and a hairdryer. Enjoy a private setting at the best price. The Double Rooms at Flacalco Hotel & Apartments guarantee an extra special setting to relax during your romantic getaway in the utmost comfort. These rooms include 16m2 of space featuring a double bed, or two singles, television, safety deposit box, balcony and a private bathroom with toiletries and hairdryer. Perfect for one or two people. 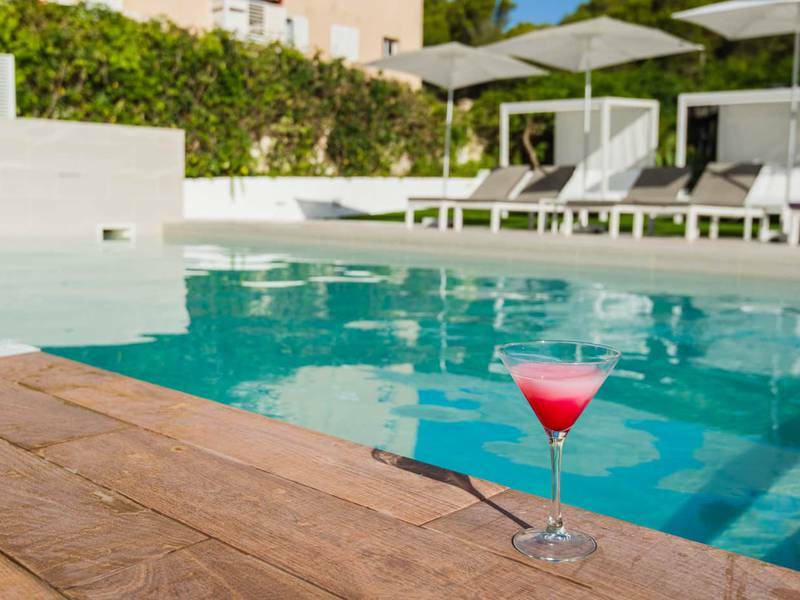 With 45m2 of space, the apartments at Flacalco Hotel & Apartments provide the perfect setting for families and groups of friends seeking to enjoy a relaxing break in Majorca. They boast one bedroom with a double bed or two single beds, a sofa bed in the living room, kitchen, fridge, terrace, television, safety deposit box, exterior balcony and a private bathroom with toiletries and a hairdryer. We offer an exclusive look at our rooms, apartments, restaurant, swimming pools, as well as the beautiful surroundings made up with pine forests, with the Flacalco Hotel & Apartments photo gallery. Only at the Flacalco Hotel & Apartments official website do we guarantee the best information with exclusive photos. We invite you to enjoy your holiday with the family, your partner or friends in one of the most stunning destinations on the island of Majorca with the offers at the Flacalco Hotel & Apartments. You can find the very best value for money right here. Take a look at the deals we have prepared for you at the Flacalco Hotel & Apartments official website and treat yourself to an unforgettable escape to the Mediterranean. Book 30 days in advance and enjoy a 10% discount. You will only find this offer on Hotel Flacalco official website. Live some unforgettable days at Flacalco Hotel & Apartments. Enjoy all the activities with your family with the best prices available! We have put together the perfect formula so that you can experience an unforgettable holiday in Cala Ratjada. The services and facilities at Flacalco Hotel & Apartments have been designed to provide a stay in the utmost comfort in an authentic natural paradise. Our hotel boasts a restaurant buffet, pool bar, paddle tennis courts, comfortable rooms and apartments, 2 outdoor swimming pools with a solarium terrace, business corner, Wi-Fi connection ($), event rooms, as well as a personalised service so you can make the most of your Mediterranean escape in Cala Ratjada, Majorca. 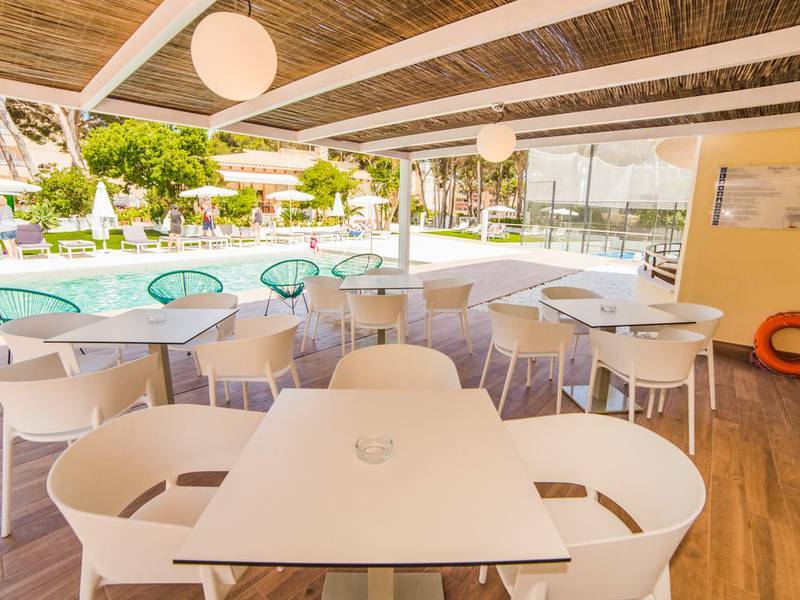 Flacalco Hotel & Apartments is located in the beautiful setting of Cala Ratjada, just a 15-minute walk from the Cala Agulla and Son Moll beaches. Within 20 minutes you can reach the stunning Cala Ratjada Lighthouse and the Cala Gat beach, the perfect spot to relax with the crystal clear waters of the Mediterranean. We recommend that you visit the Capdepera Castle, the Caves and the town of Artà, situated 10 minutes away by car. If you are a keen golfer, we are located 15 minutes away by car from three different golf courses. Palma airport is one hour by car away from the complex. Need anything? We have provided you with the contact details for Flacalco Hotel & Apartments right here. We guarantee the best personalised assistance with all of your queries.